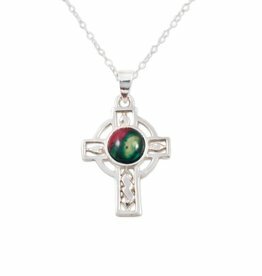 These beautiful Heathergems Celtic cross is made from sterling silver. 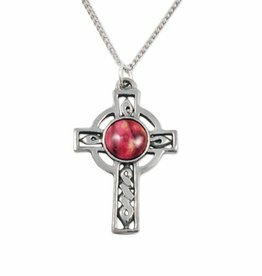 It measures approx 1.5” x .75” and comes with an 18” sterling silver chain. Makes a unique gift. 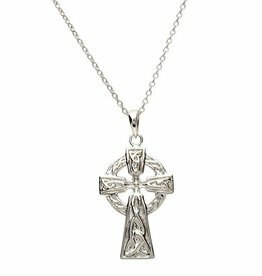 This large Double Sided Sterling Silver Celtic Cross measures 1.5" (including bale) and comes with a 20" chain. A Beautiful Statement Piece!! 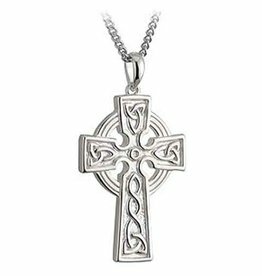 This beautiful Heathergem Celtic cross is crafted from pewter. It measures approx 1.75” by .75” and comes with a 20” chain.